SIX FINE CHINESE COLOUR PAINTINGS OF THE DUKES. 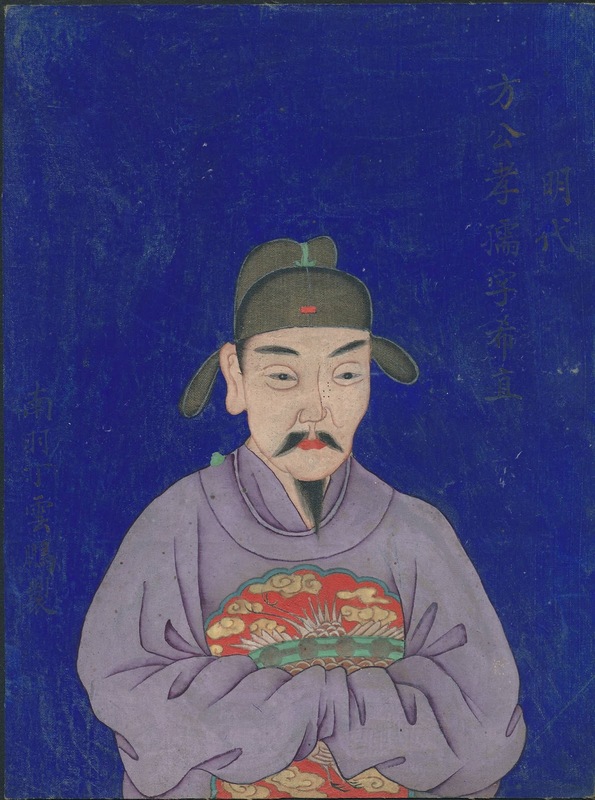 (國公) by Ding Yunpeng (Ting Yün-p'eng) of the Ming Dynasty (1368 - 1644). 8.25” x 6.25”. On each, it says 明代 (Ming Dynasty) and “painted by 南羽 (his alias) 丁雲鵬”(his name). The title, name and alias of each person painted are written on the front of the painting and the previous owner of them also repeat them on the back. All of figures are dukes and the hats they wore indicate their ranks. • A painting of the 3 religious figures (三教图), in Museum of the Forbidden City, Taipei. • A painting of Soaking the Scarf in Wine (漉酒图), in the Shanghai Museum, CHINA. PROVENANCE: the estate of Agnes Newton Keith, who died in Victoria, B.C. The collection comes with her simple printed letterhead. Agnes Newton Keith (1901 – 1982) was an American author best known for her three published autobiographical accounts of life in North Borneo before, during, and after the Second World War. Where and when she acquired these paintings is unknown.